In this session, our Musical Director, David Gibson, will start with the basics of reading the notes on the staves; he'll cover key signatures and time signatures, and recognising and pitching intervals. Don't imagine that you'll be allowed to sit and doze in your seat, though! There will be plenty of practical exercises to keep you thoroughly engaged. After the tea/coffee break at 11.00am, the focus will be on sight-reading polyphonic music together. 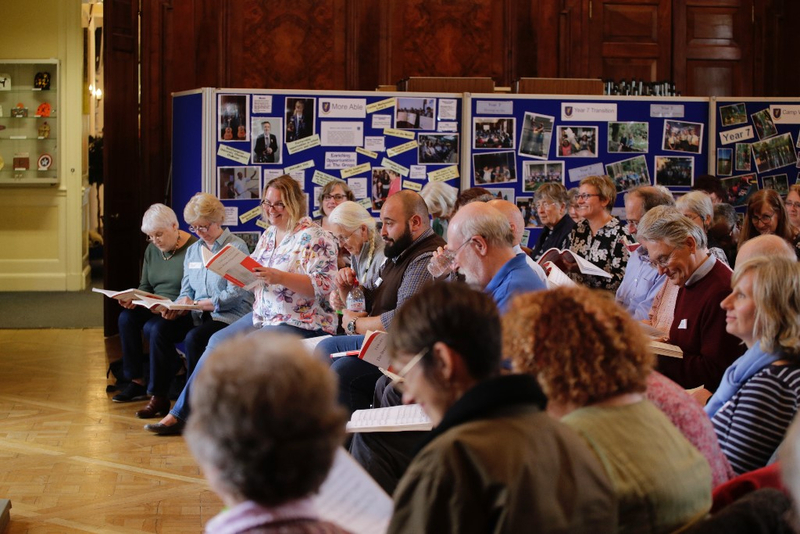 There will also be an opportunity (completely optional) to create an ad hoc consort with some of your fellow singers, and practise sight-reading as a group, away from the main session. This workshop ends at 12.30pm. Whether this masterpiece of the classical repertoire is completely new to you or whether you know it inside-out, we hope you'll get a great deal out of this mini-workshop, which runs from 1.00pm to 3.30pm, with a break for refreshments. Following a brief introduction (from a vocal perspective) to baroque style, David will lead us through five of his favourite choruses from the piece, and send us home with the famous Hallelujah chorus ringing in our ears! If you are attending both sessions, please bring a packed lunch, as the lunch break is just 30 minutes. The Gregg School at West End, Southampton (postcode for satnav directions is SO18 3RR) provides us with a lovely setting for our workshop. The school building was once the home of Lord and Lady Swaythling, and the listed garden, which was planned by Gertrude Jekyll, is maintained through the efforts of the Friends of Townhill Park Gardens. There is free parking for attendees for the duration of the workshop. Places at the workshops are limited to 110 and are offered on a 'first come, first served' basis. Booking form for non-members. Members of the SPC and SU Phil in the 2017-18 season are entitled to free entry, but must book their place using this (members only) form.